Considering the accuracy of prophecy, it is good to know more about the prophets God used to speak through during the time in which they ministered. 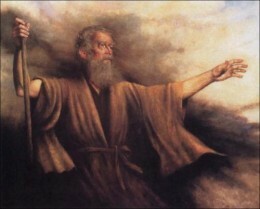 God used many prophets throughout the Old Testament. One common method to distinguish between them is by dividing them into two categories. Major prophets and minor prophets (referring to the general length of the books than to the prophets themselves). According to this method Isaiah, Jeremiah (with Lamentations), Ezekiel, and Daniel are considered the major prophets. The minor prophets are Hosea, Joel, Obadiah, Jonah, Micah, Nahum, Habakkuk, Zephaniah, Haggai, Zechariah, and Malachi. After the death of King Solomon, Israel was divided into two kingdoms (Israel & Judah). Israel was lead by King Jeroboam and Judah was lead by King Rehoboam. Both of these kings did evil in God’s eyes. God used the major and minor prophets to speak warnings and Judgement to Israel, Judah, and the nations that had turned from him and were serving false God’s. The sins of the people which included child sacrifice and temple prostitution had provoked God to respond. He first began by warning them, and when his warnings were rejected he then brought judgment. God began his judgment against Israel by bringing the Assyrians against them. He brought judgement to Judah by bringing the Babylonians against them. Through a series of attacks the Jewish people were taken from their land and sent into exile in Babylon in 586 BC just as the prophets had warned. All the prophecies concerning the judgement and exile of the Jewish people were fulfilled just as God had spoken by the prophets. Fortunately God had also spoken through the prophets that he would show the Jewish people mercy and one day would restore them back into the land he had given them. In 538BC Zerubbabel lead 50,000 from Babylon back to Jerusalem. In 458BC Ezra lead 1,700 men and 5,000 – 10,000 women and children back to Jerusalem. Finally, in 445Bc Nehemiah lead the last group back to Jerusalem. Once again, God’s word given through the prophets had been fulfilled. From the Old Testament alone, more than 2000 specific prophesies have been fulfilled. No other so called Holy book compares. Most of the 333 prophesies concerning the Messiah were fulfilled by the birth and life of Jesus Christ and the rest will be fulfilled at His second coming. A mathematician, Peter Stoner, had his graduate students calculate what the odds would be of any one person fulfilling just eight of these prophesies. He found the chance was one in 100,000,000,000,000,000 ! Only a God who knows the future could have revealed these prophesies to those that he would have record them in His Word. Every prophecy given to us by God and that are written in the Bible have been fulfilled exactly as they were written (except the ones still waiting fulfillment concerning the second coming of Christ)! God has given us the prophecies necessary for us to know when Christ return would be near. He has told us we would know when Christ return is near and he commanded us to watch (1 Thessalonians 5:4-6, Hebrews 10:23-25). The signs he gave us in his prophetic word to watch for are occurring daily. They are on the news, in the newspapers, on the internet and visible for all to see. In light of the accuracy of God’s prophetic word I urge you to not be like the Jewish people who were sent into exile for rejecting God’s warnings. Just as God brought judgment to the Jewish people for their sin against him, one day he will bring judgment against all who have sinned against him and have not been washed clean by the blood of his son Jesus Christ! If you are born again….a child of God and have made Christ your Lord and Savior, then I urge you work with urgency to reach the lost while there is still time. If you have never accepted Christ as your savior, then I want to encourage you to make the most important decision you will ever make! Ask Christ to forgive you of your sin, ask him to come into your heart and life and be your Savior and King. Turn away (repent) from the things in your life that are offensive to God and live for him! Find a Bible believing church and get connected! Start growing in the new life God has given you! Soon God’s prophetic word will come to fulfillment again and Christ will come for his bride (the church). The rapture will occur and all his children will go to meet him in the air and be with him forever (1 Thessalonians 4:16-18). Those who let their pride get in the way and refuse to submit to Christ will be left behind to suffer through the seven year tribulation period. It will be the worst time ever to come upon the earth. Heed God’s word while there is still time and don’t be left behind! When all is said and done……the Old Testament Prophets don’t get it wrong…they spoke as they were guided by God!